Jan Odom-Forren, associate professor, received her BSN from Mississippi College and MSN form the University of Southern Mississippi. She received a PhD in nursing from the University of Kentucky, focusing on post discharge nausea and vomiting in ambulatory surgical patients. Prior to her position at UK, she was a staff nurse in PACU; clinical nurse specialist, perioperative services; nurse manager, PACU; and Director, Surgical Services. She is an international lecturer on perianesthesia and sedation issues and has published extensively in journals and books. Her research area of interest is management of postoperative symptoms and opioid education for postoperative patients. 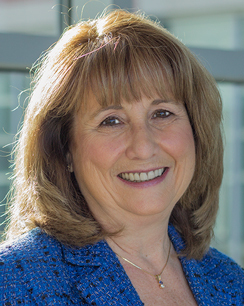 Dr. Odom-Forren is past president of the American Society of PeriAnesthesia Nurses (ASPAN) and has served that organization in myany capacities. She most recently has been a a member of strategic work teams who developed ASPAN sponsored evidence-based guidelines on the management of PONV/PDNV and perioperative normothermia. She is a Fellow in the American Academy of Nursing and a Fellow in ASPAN. She is currently a co-editor of the Journal of PeriAnesthesia Nursing. She is author/editor of two books: Practical Guide to Moderate Sedation/Analgesia, edition two; and Drain's the PACU: A Critical Care Approach, edition seven. Dr. Odom-Forren has conducted funded research to determine Postoperative Symptom Management in Orthopaedic and Laparoscopic Cholecystectomy Ambulatory Surgery patients and recently conducted a funded study regarding Perianesthesia Nurses' Knowledge and Promotion of Safe Use, Storage and Disposal of Opioids.